It's always a good idea to read the warranty for any product you buy. 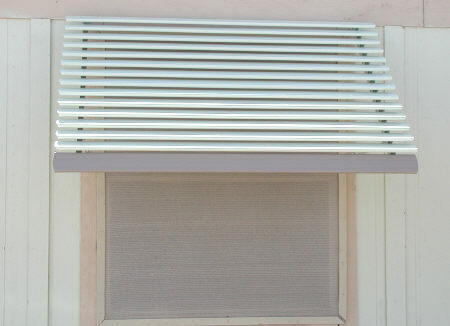 Here we will highlight some of the basics of a standard aluminum awning warranty. Depending on where you purchase your awning your warranty will probably be different, so it is important to read it carefully. These are excerpts from the manufacturer's warranty that is supplied with all of our aluminum awnings, window awnings and lattice covers. The warranty is null and void if the warranty card is not filled out and returned to the manufacturer. 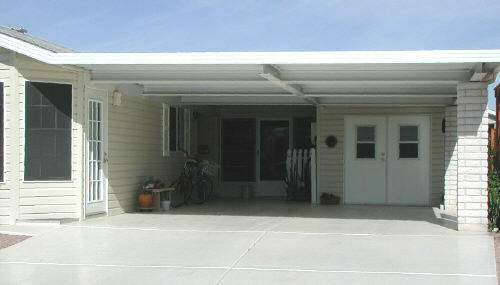 We warranty lattice, patio cover, carport and awning components will not peel, blister, flake, chip, split, rust or crack, subject to the limitations and conditions listed herein, for the life of the original retail purchaser. This Warranty is Transferable by the original property owner to a subsequent owner of the products during the first ten years of warranty coverage. In the event of transfer of this warranty, the warranty period shall be ten years from the date of the original installation of the products and shall only apply to manufacturing defects in the products. During the first three years of the warranty period the product will be refinished, repaired or replaced to remedy any defect at no cost to you. During years four through ten the product will be refinished, repaired or replaced at no cost other than labor and shipping. From the eleventh year through the remaining lifetime of the product it will be refinished, repaired or replaced at 50% of the current wholesale cost of the defective parts. Mix ingredients together and apply with sponge or cloth to mildewed areas. Wear protective gloves and avoid contact with skin.